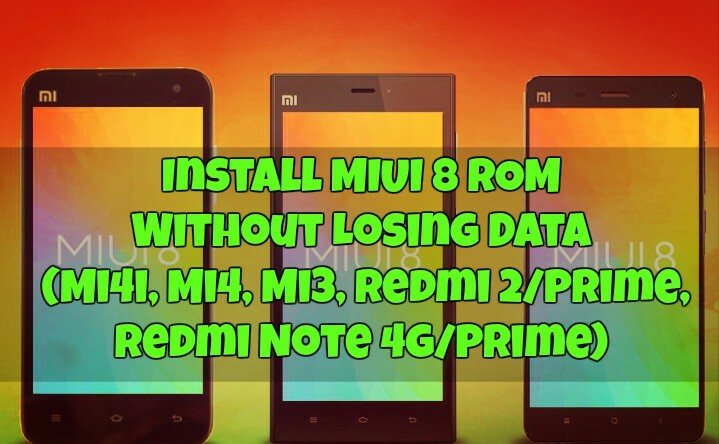 Recently One of our Reader asked us a question “how to install MIUI 8 ROM Without Losing Data on Xiaomi phones (Mi4i, Mi4, Mi3, Redmi 2/Prime, Redmi Note 4g/Prime)”. As you know that MIUI 8 Develope ROM is now available most of the Xaiomi phone, and very soon the Global Stable version will release. And most of the user don’t know how to install MIUI 8 ROM Without losing the data or any files from their phone. Because no one wants to lose all their clicked pics or saved messages. Here we will show you how to do that in simple steps. We are using the MIUI 8 from last few days, and the rom is now stable enough to use it as your daily driver. We tested this method on our MI 4, MI 4 and Note 3. So here we came with the detailed guide which you follow on your Mi4i, Mi4, Mi3, Redmi 2/Prime, Redmi Note 4g/Prime phone and update the same with MIUI 8 without losing any files from your phone. MIUI 8 Rom comes with lots of new features such as dual apps, new UI, Great themes, dedicated app lock, gorgeous notification panel and lots more. 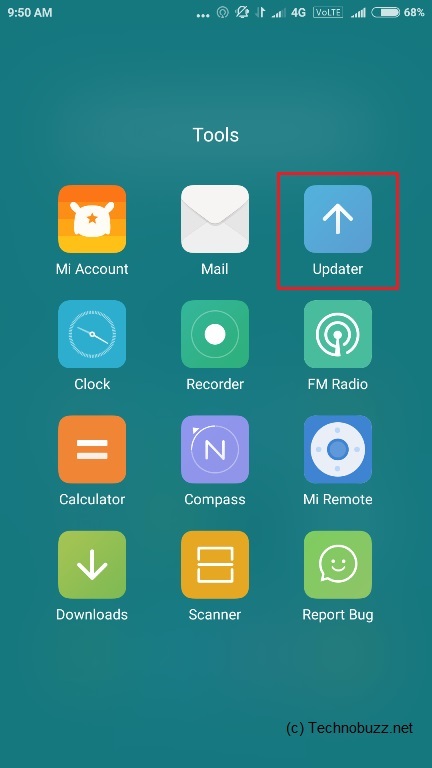 So without wasting the time lets take a look how to Install MIUI 8 ROM on Xiaomi phones. 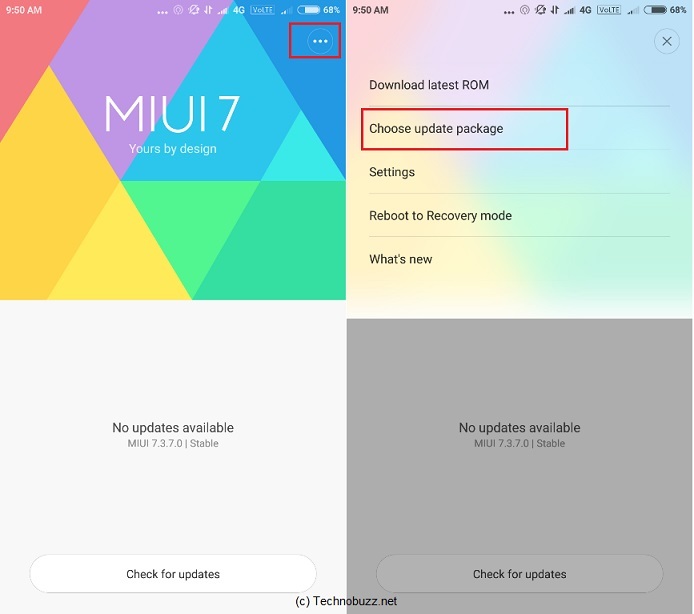 a) First, you have to Download the MIUI 8 Full ROM recovery Zip file. Visit this page and select your phone and Download the Full ROM Zip file. b) Battery Above 70% charged which is highly recommended. Step 1. Download the MIUI 8 recovery rom zip file from above and put it in the internal memory of your device. Step 2. Now Launch the updater application form tool on your phone to flash the MIUI 8. Step 3. Now from the Updater App click on these 3 dots at the top. Here you will find several options but you have to select choose updater package. Step 4. Now from the next page select the MIUI 8 Recovery ROM zip file that you saved on your phone. Step 5. Now your phone will turn off and the Flashing process will start on your phone. Important note the updating process may take up to 15 minutes so dont panic. Just relax and wait till the process get finished. Step 6. Once the process is completed. Your phone will reboot in MIUI 8. That’s It! Now you can enjoy the global MIUI 8 on your xiaomi devices and share your experience in the comment box down below.